With a height of 2 meters, the roll ups help to increase the visibility of the project in exhibitions and events. The roll ups describe the project consortium and include key messages for people to better understand the aim of the project. 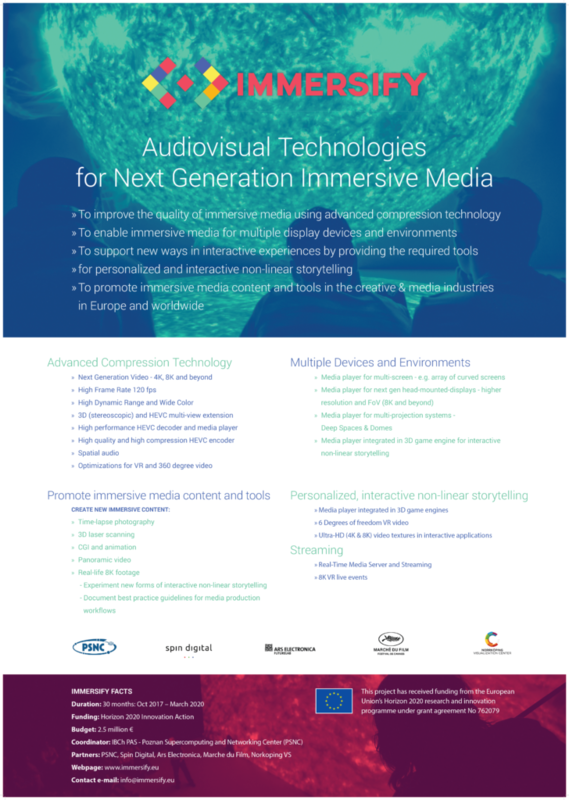 A flyer was created to communicate at different dissemination events the project objectives and outcomes to interested parties. 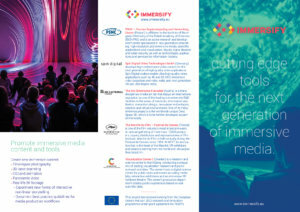 The Immersify poster describing the consortium and the project objectives was created for dissemination at workshops and conferences.